Non Boaters: Rick Knauer, Wes Williams, Paul Jones, Joe Scheperle and Frank White. Final 2004 Standings are on the club WEB Site. Congratulations to all of the 2005 team members especially to Larry Williams, Rick Knauer and Wes Williams for making the club team for the first time. There will be 4 Federation Tournaments over 2 weekends for 2005. The entry fees will be $150 for all 4 tournaments which will be paid by the club. The dates are April 30th and May 1st on Lake Washington and July 16th and 17th on Pot Holes. 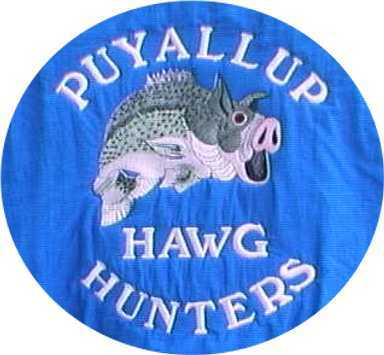 We had 26 members fish the Lake Washington club tournament on 10/24/04. Ten club members brought fish to the scales for the 3:00 pm weigh in. Congratulations to Doug Jorgensen for first place with the only 5 fish limit of 11.68 pounds and Mike Buse for second with 10.9 pounds and Ken Ganancial for third place with 10.37 pounds. Larry Williams had the big fish of 3.95 pounds. Complete results can be found on the club WEB site. Angler of Year - Tom Melowitz for the second straight year and the 6th time. 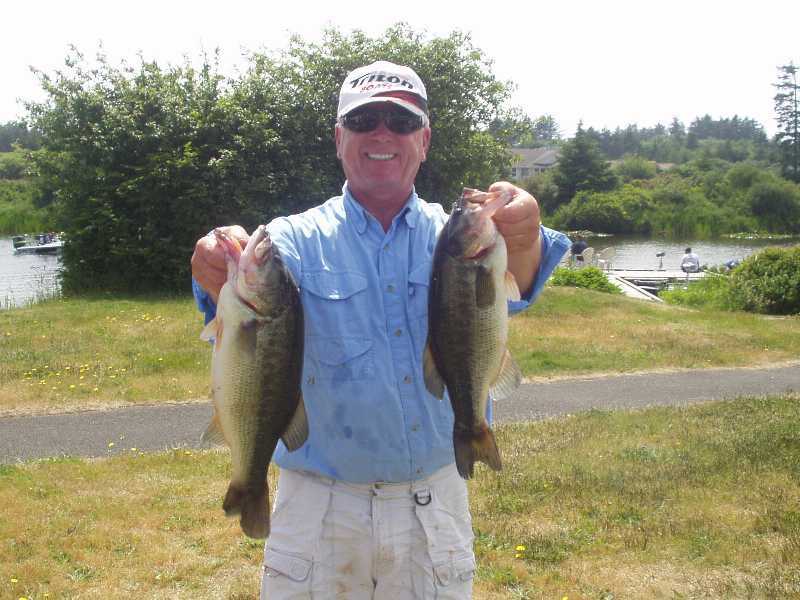 Big Fish - Doug Jorgensen with a 6.91 largemouth. The largest fish caught since the award started. Most Improved - No eligible angler improved from 2003 to 2004. Klutz - Art Soto was the 2004 Klutz of the Year for falling in the water at the Riffe Lake Tournament.